+ $0 First Payment on select 2019 models. 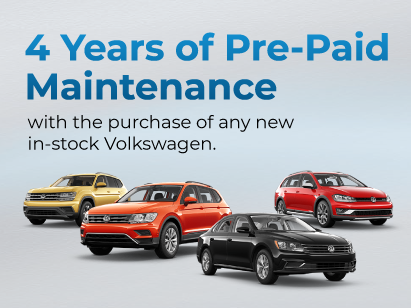 4 Years of Pre-Paid Maintenance with the purchase of any new in-stock Volkswagen. The Volkswagen Pre-paid Maintenance (VW PPM) 4 Star Plan is a part of the Volkswagen Protection Plus suite of Protection Products, and covers the manufacturer’s scheduled maintenance at the following intervals for Model Year 2018 and newer vehicles (except for electric vehicles): Scheduled maintenance at 15,000 km, 30,000 km, 45,000 km, and 60,000 km, and expires 48 months after the original vehicle in-service date or once the vehicle’s mileage exceeds 60,000 km, whichever occurs first. 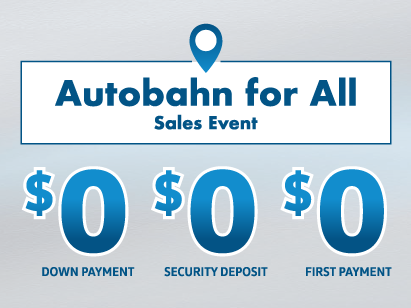 This program is valid at all participating Volkswagen dealers within Canada only. VW PPM plans are cancellable and refundable up to ten (10) days from plan purchase date. After ten (10) days, plans are not cancellable or refundable unless considered an “optional service” (see contract for details). VW PPM plans are not transferable between vehicles. VW PPM plans can be transferred to new owners at the complete discretion of Volkswagen Canada. A transfer fee of $100 + HST will apply (where permissible by applicable law). 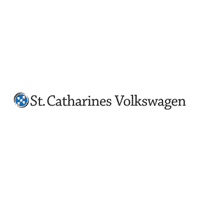 St. Catharines Volkswagen reserves the right to amend or terminate the VW PPM, in whole or in part, at any time without prior notice. Additional conditions and limitations may apply. 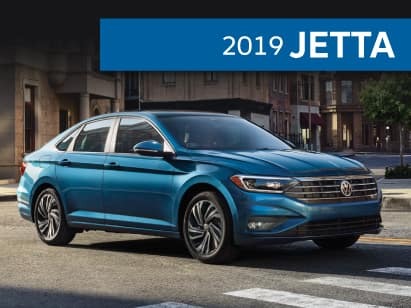 Please see St. Catharines Volkswagen for details. 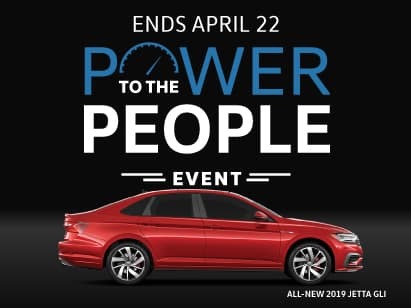 4 Years Pre-Paid Maintenance with the purchase of any new in-stock Jetta. 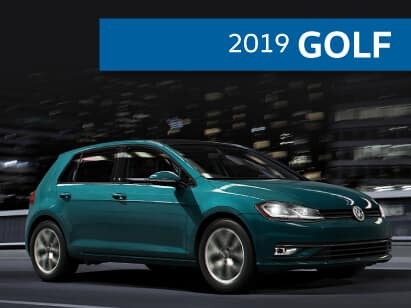 4 Years Pre-Paid Maintenance with the purchase of any new in-stock Golf. 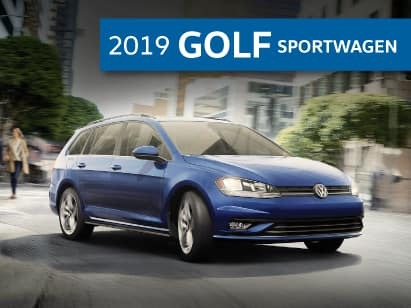 4 Years Pre-Paid Maintenance with the purchase of any new in-stock Golf Sportwagen. 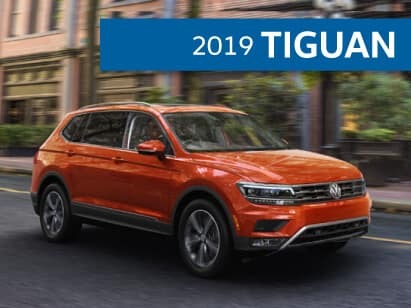 4 Years Pre-Paid Maintenance with the purchase of any new in-stock Tiguan. 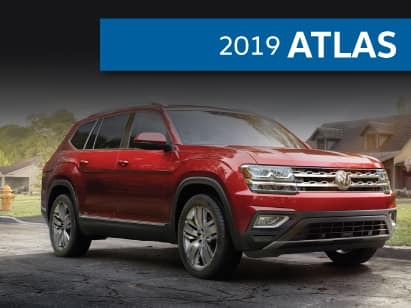 4 Years Pre-Paid Maintenance with the purchase of any new in-stock Atlas.